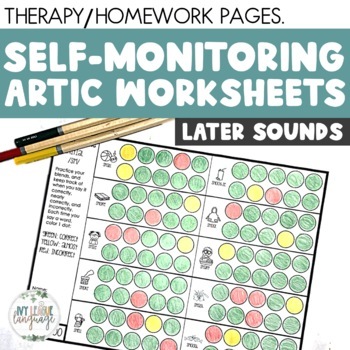 Print, then hand out self-monitoring sheets to students according to their target sounds. Provide a green, yellow, and red coloring utensil. (green for correct, yellow for nearly correct, red for incorrect). 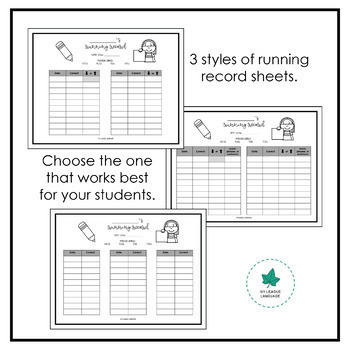 Students can store these sheets in their speech folders, or simply record their performances on their running record sheets. 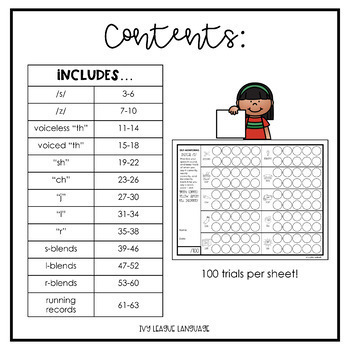 Print, then hand out your preferred running record form. 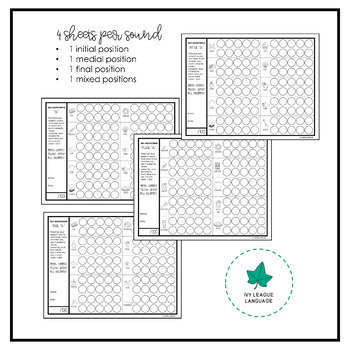 Have students fill it in after completing a self-monitoring form. The original buyer of this product is granted permission to print & copy these pages as needed. Please do not repost, recreate, edit, sell, or give away this product. This product is legally copyrighted. Exclusive rights belong to the Author, and legal action may be taken if copyright violation occurs.